After launching with Windows 8 in October of last year, Internet Explorer 10 has only been available as a release preview on Windows 7. That all changes as Microsoft pushes out the final release to all Windows 7 users starting today. Just like Windows 8, IE10 will reportedly speed up your browsing experience on Windows 7. 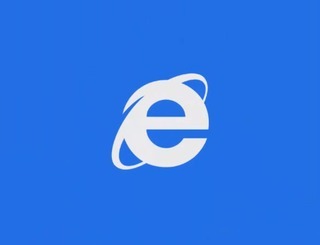 Microsoft says that internal benchmarks put it about 20 percent faster than IE9. To test it out for yourself, you can try out Microsoft’s Minesweeper benchmark test. It’s built entirely in HTML5 and will measure your browser’s performance. As for privacy, the Do Not Track signal will be turned on by default in IE10 for Windows 7, just as it was for Windows 8. Just don’t expect it to actually accomplish anything. You can grab IE10 for Windows 7 right now. If you want Microsoft to do the work for you, you’ll be upgraded to IE10 automatically in the coming weeks. Those who took part in the IE10 Release Preview will get first dibs, with everybody still on IE9 coming later.